Jingle Bells | Standard Figurines | One Price Low Flat Shipping! 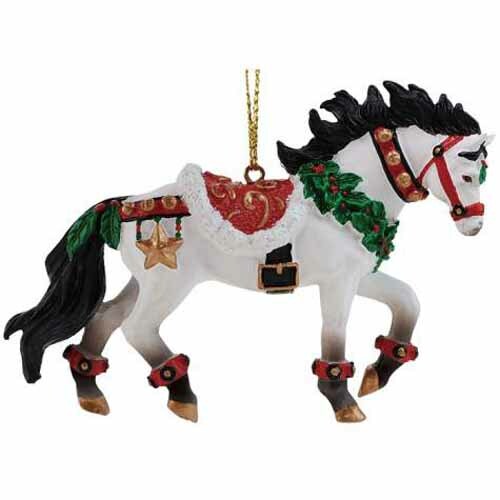 From Westland Giftware's Horse of a Different Color 2015 Holiday Collection, Jingle Bells Hanging Ornament. Made of hand-painted resin. Measures 2.75" tall. Comes with ready to hang cord and is packaged in decorative tin container. This festive holiday ornament features jingle bells, a necklace of holly leaves with berries, and bright gold and red accents.